Bird Golf Academy offers private, individual instruction with your own LPGA/PGA Bird Golf professional. The schools are a 1-on-1 or 2-on-1 format (one or two students to one instructor). We have actually had some of our best successes with absolute beginners! Our format allows us to go over each facet of the game with you, at your speed, building a “model” with you that will last a lifetime. It accelerates the learning process because it keeps the instruction continuous. In addition to which, your daily playing lesson, allows you to get comfortable where it really matters: on the golf course. Your professional will go over rules, etiquette, strategy and course management with you, so that you are able to start playing the game, much more quickly. 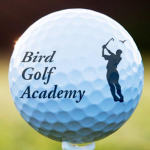 Visit our website, Bird Golf Academy, to learn more about our teaching professionals and our 20 locations. Grand Cypress Academy of Golf features a variety of golf instructional programs offering one to five days of unparalleled instruction and the most advanced teaching methods to improve your performance. With 2 dedicated practice area and 3 great golf courses for playing lessons, Green Valley Golf School focuses on game improvement in a customized and fun atmosphere. If you start well and you finish well as we guide you to do…….optimum distance and accuracy will be achieved. Designed around an atmosphere of positive & supportive learning. Purtzer’s Instructors combine their knowledge of the golf swing 2nd to none, love for the game, with a sincere commitment to provide continuing guidance & support as your game progresses. Saddlebrook Golf Academy offers programs for all skill levels and all ages. Call about our Early Enrollment rates for junior summer camps. Saddlebrook Resort is nestled in 48- acres of lush Florida countryside north of Tampa and offers a variety of dining, and entertainment experiences for every taste and mood. The resort offers two 18-hole championship golf courses designed by legendary golfer Arnold Palmer, 45 tennis courts and home to the world-renowned Harry Hopman Tennis program, and a 7000 square foot European style spa will enhance your stay. Former PGA Tour Player and renowned instructor, Hugh Royer, III, provides men, women, and juniors of all ages the opportunity to improve basic skills or become competitive golfers at the highest levels. Our Myrtle Beach golf school features excellent facilities, a relaxed atmosphere, and superior teaching methods. Come to the South Carolina Golf Center at Shaftesbury Glen Golf & Fish Club, the home of Hugh Royer, III.